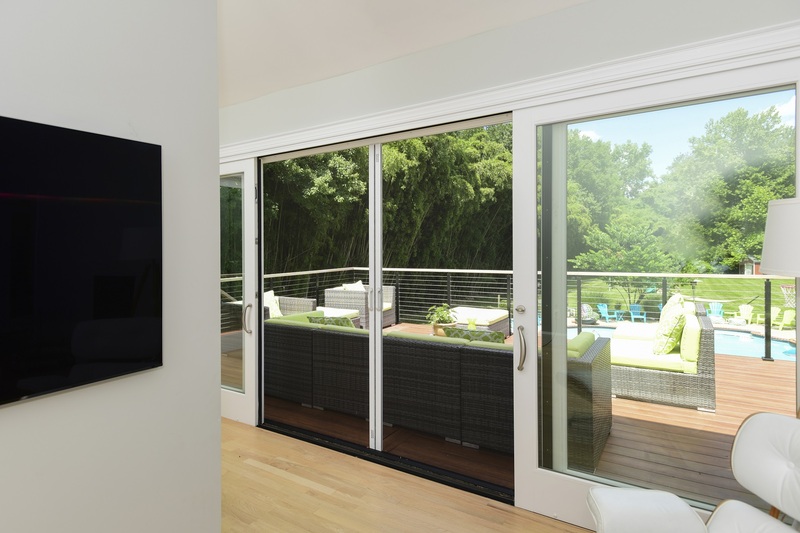 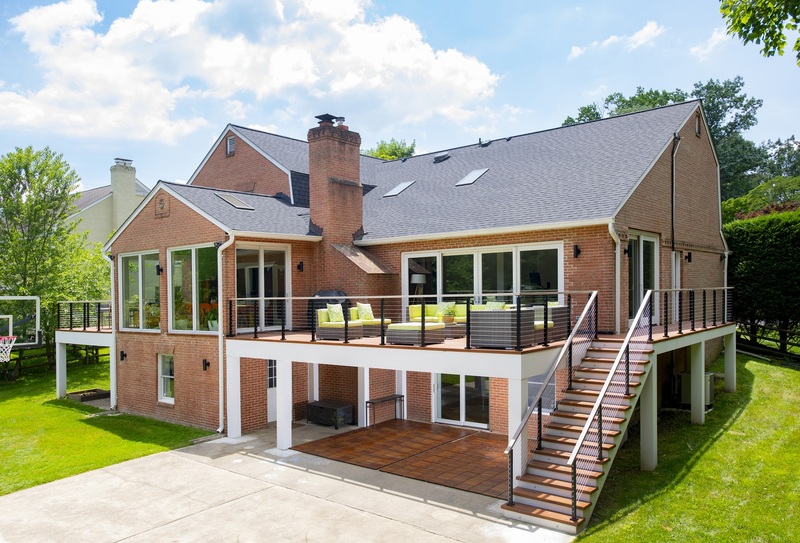 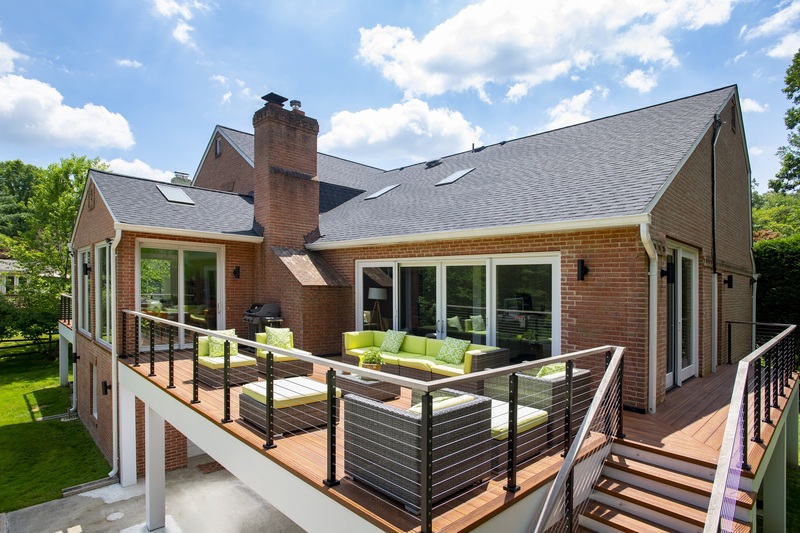 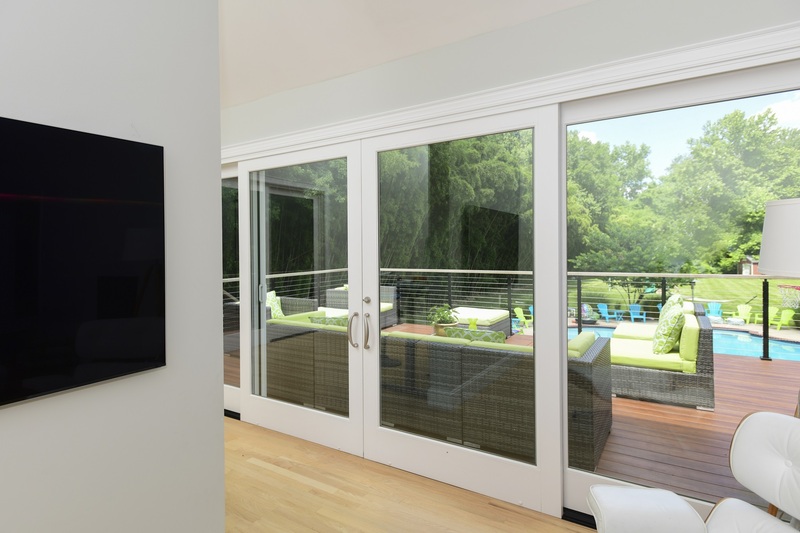 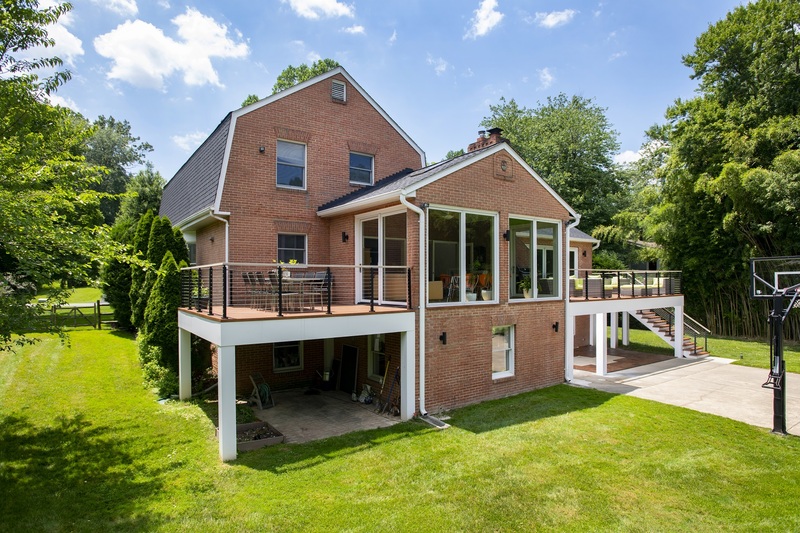 This multi-faceted project in Bethesda, Maryland includes dual low-maintenance Zuri decks with stainless steel cable handrails as well as an overhauled interior room adjacent to the kitchen. 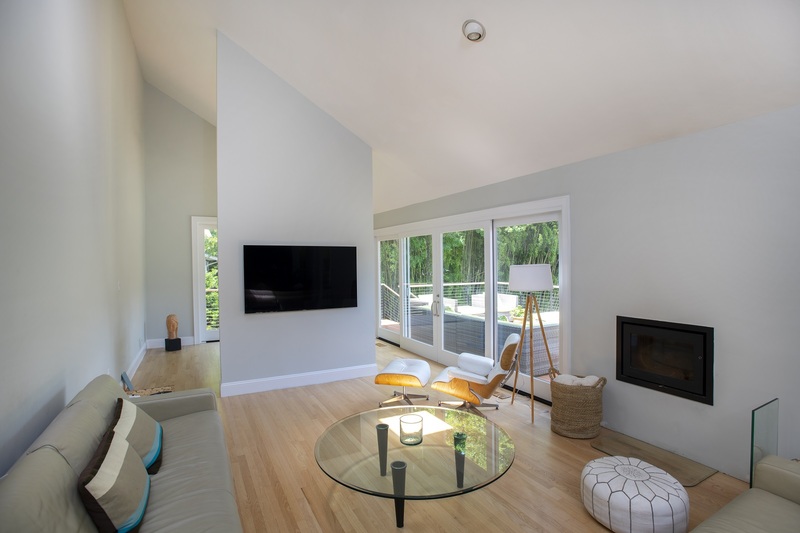 The new interior is clean and modern, with contemporary furniture on one side of a new gas fireplace, and a new office work space in the other. 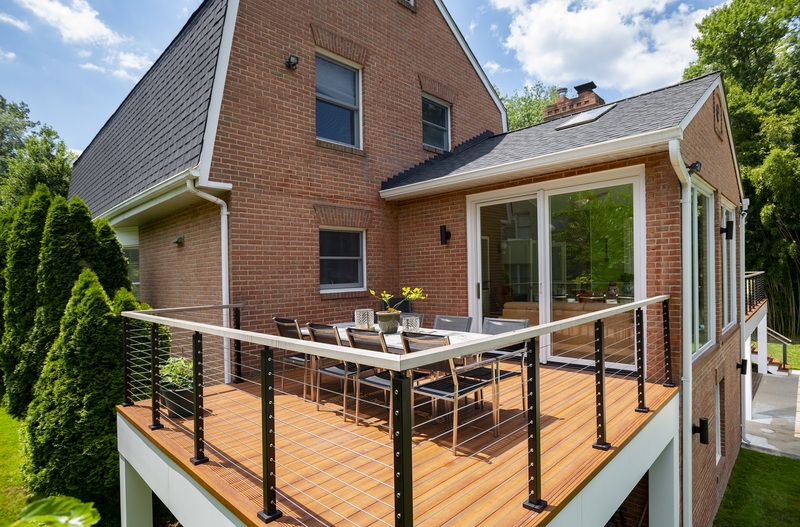 Therma-Tru doors featuring rolling screens and large windows provide access and view of the new Zuri deck and expansive backyard space. 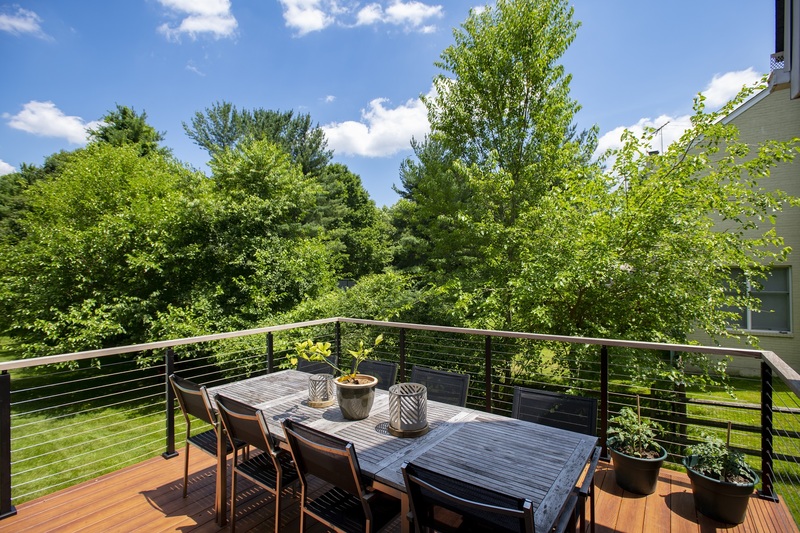 Features of the high-performing Zuri decks include the custom cable handrails, ample space for entertaining, and low-maintenance properties that ensure the deck will look great for years with minimal effort on the part of the homeowners.